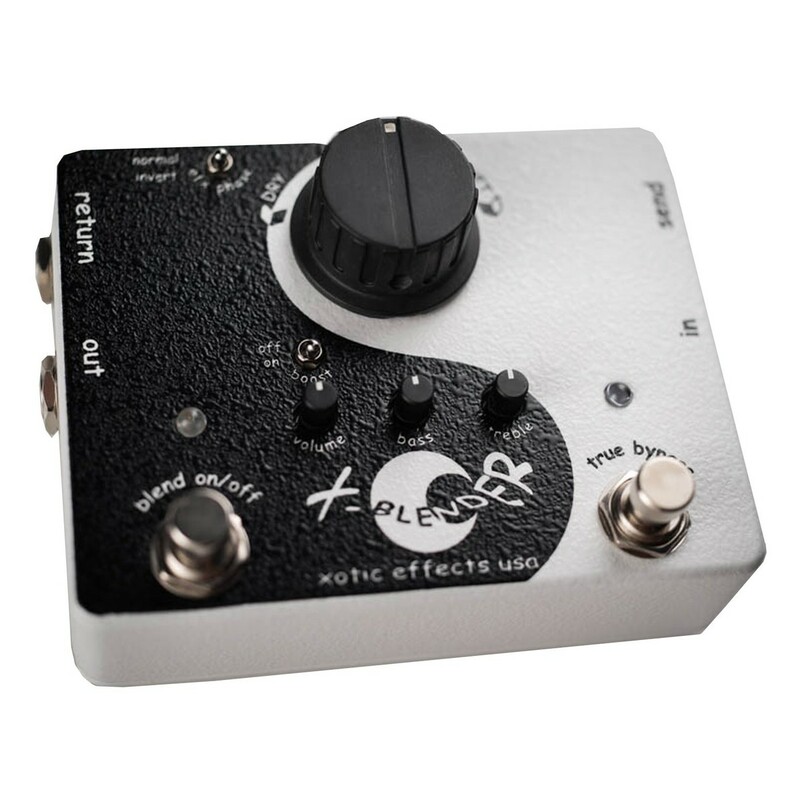 The Xotic Effects X-Blender Effects Loop Pedal allows you to mix together your wet and dry signals, so that you have more control over your sound. It also lets you switch between Series and Parallel effects loops for even more versatility. The X-Blender uses pro-audio engineering technology to solve the issue of signal deterioration when using a chain of effects. It does this by using a separate signal for the effect, in order to preserve the guitars signal and dynamics. 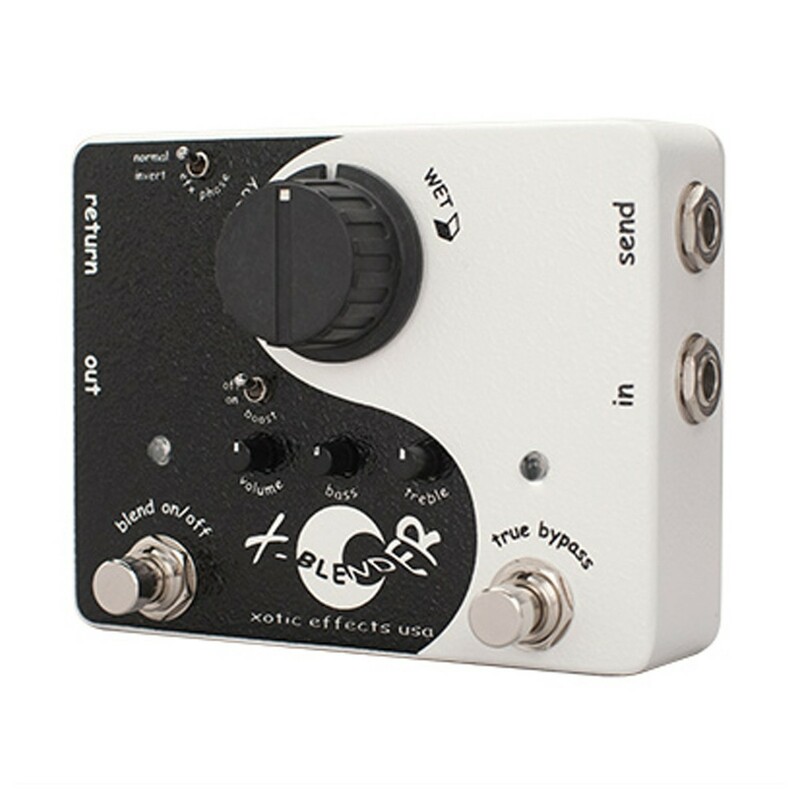 The X-Blender features both a Series and Parallel loop unit, Series is a simple loop and is true bypass with no buffering, whereas Parallel provides a buffer to strengthen the signal, and provides the opportunity to blend the wet, affected signal with the dry signal for a more complex and customised sound. The X-Blender works in both Serial and Parallel modes, allowing you to shape your sound to suit your own individual style. In Series mode, the X-Blender works as a simple effects loop, in which all of the controls are disabled. For added simplicity, this mode is true bypass which eliminates signal interference when the effect is switched off. In Parallel mode, this introduces a buffer to strengthen the signal. You can also use the Dry/Wet rotary control to determine the blend of dry and affected signal, to find your ideal tone. 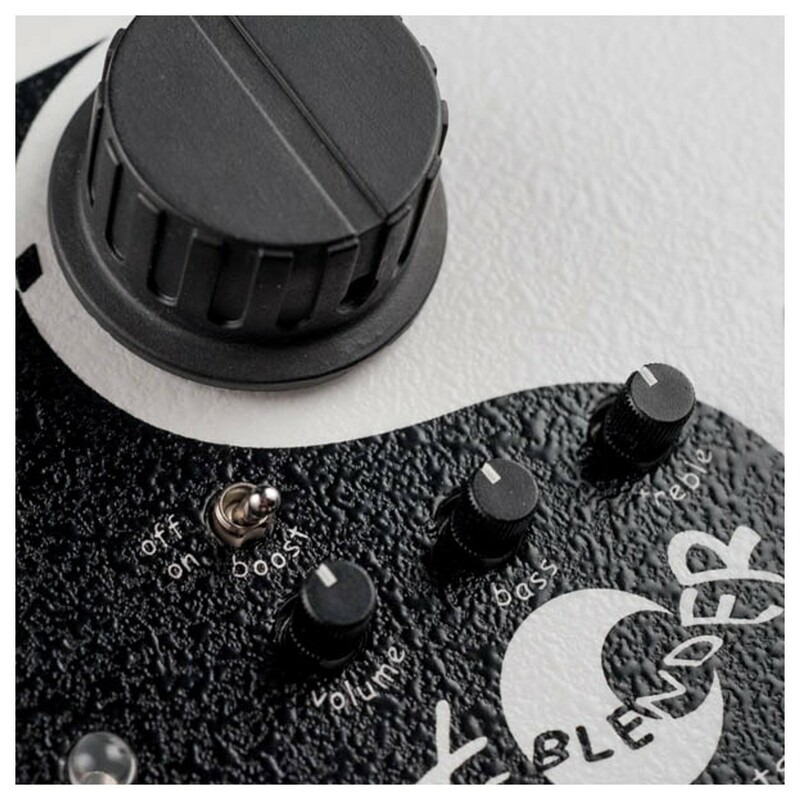 Aside from the Wet/Dry knob, the other controls of the X-Blender include an EFX Phase Switch that allows you to flip the signal's polarity, that works well if you want to correct issues with your other devices and effects. As well as the Boost switch for adding up to +6dB of boost, for when you require a big, projected tone. For even further tonal shaping, there is a 2-band EQ consisting of Bass and Treble, which lets you fine tune the sound. Xotic Effects was created in California back in 1996, where the one-man business produced high-quality bass guitars and preamps. 2 years later, Xotic Basses imagined the Robotalk 1 pedal; an ultra-boutique pedal created from scratch. Since then, Xotic have expanded their pedal range, all of which are made using top-quality parts and offer great sound and versatility.